This book examines the post-Cold War challenges facing Antarctic governance. It seeks to understand the interests of new players in Antarctic affairs such as China, India, Korea and Malaysia, and how other key players such as Russia and the USA or claimant states such as New Zeal... read full description below. This book examines the post-Cold War challenges facing Antarctic governance. It seeks to understand the interests of new players in Antarctic affairs such as China, India, Korea and Malaysia, and how other key players such as Russia and the USA or claimant states such as New Zealand or France are coping in the new global order. Antarctica is the world's fifth largest continent and its territories are claimed by seven different states. Since 1961 Antarctica has been managed under the Antarctic Treaty System (ATS), a regime which, according to its critics, by the terms of its membership effectively excludes most of the nations of the world. This book examines the post-Cold War challenges facing Antarctic governance, and is organized thematically into three sections: Part 1 considers the role of Antarctic politics in the current post-Cold War, post-colonial era and the impact this new political environment is having on the ATS. Part 2 looks at the competing foreign policy objectives of a representative range of countries with Antarctic activities. Part 3 examines issues that have the potential to destabilise the order of the Antarctic Treaty System, such as unrestricted tourism and new advances in science and technology. 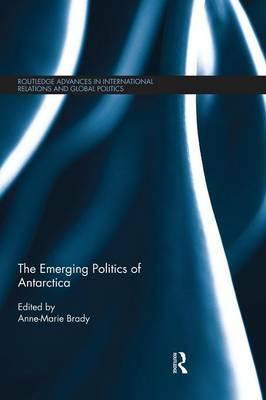 The Emerging Politics of Antarctica will be of interest to students and scholars of international politics, polar studies and foreign policy studies. Anne-Marie Brady is an Associate Professor in Political Science specializing in Chinese and Polar politics at the University of Canterbury, New Zealand.